A well-branched single trunk female tree (VanWijngaarden). 'The original Avondale Lunatic Asylum building – now the Faculty of Architecture and Design– was constructed from 1865 to 1903. Other old buildings date from 1897. During the long tenure of the site as a mental hospital, numerous trees were planted as ornamentals, hedges, and in fruit orchards. Much landscaping work with trees and shrubs has continued over the last thirty years. 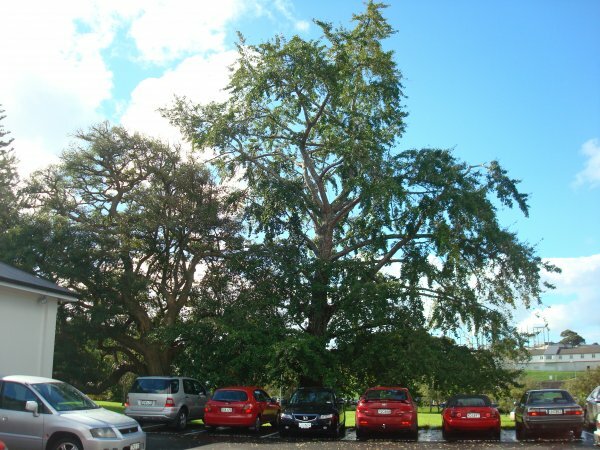 Other interesting trees are silver maple (Acer saccharinum), several large Turkey oaks (Quercus cerris) – the biggest one in front of Building 81 – and two exceptionally large camphor laurels in the grounds of Penman House (Building 55) near Entry Four. 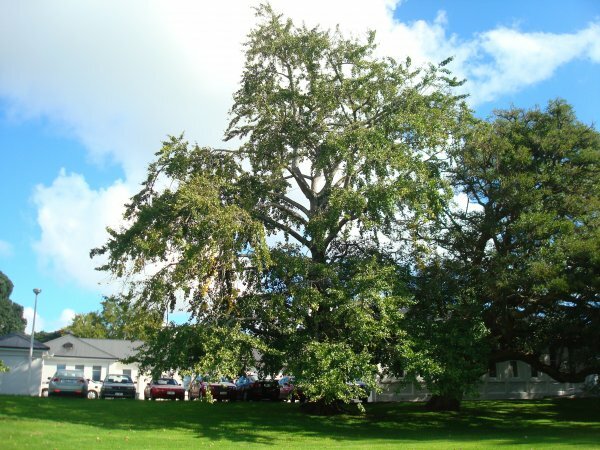 The oldest building on the campus, the original mental hospital, has several trees and shrubs of interest including holm oak (Quercus ilex), several sweet gums (Liquidambar styraciflua), and flourishing specimens of the chaste tree (Vitex agnuscastus) and pigeon berry (Duranta erecta)'. 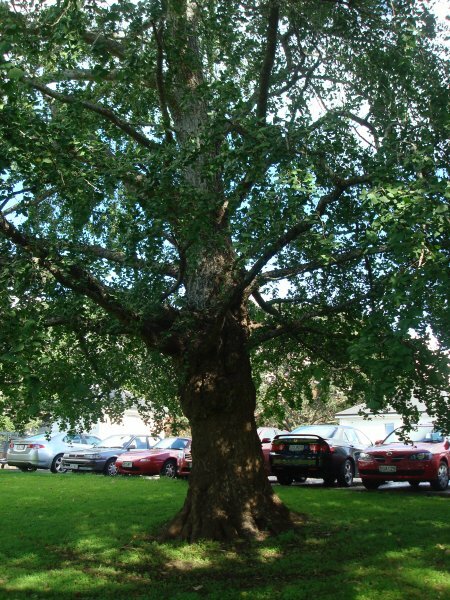 A well-branched single trunk tree with good branch attachments and typical open grown habit. 15 May 2011 VanWijngaarden, J. East side of the Student Services Centre - near building number 48.